Passing the Eleven Plus exam: When is the Right Time to Prepare? These days it’s increasingly common for parents to help their young ones prepare for the Eleven-plus with extra-curricular tutoring. So much so, that it catches many parents off guard when they start thinking about it and realise that many other children have already begun to prepare. You may feel like your child is at a disadvantage if they’ve begun to prepare later than some of their peers, but the truth is that the ideal time to start varies widely depending on each individual child. Is there a cut off point? We’ll address that in a moment, but first let’s take a look at the ideal Eleven Plus tutoring timetable to see where your child ought to be. Read below, or download our Eleven Plus Timeline Infographic – Click HERE to download. As a parent, the earliest time you really need to start thinking about the Eleven Plus is at the beginning of year 4, but even then the preparation should (in most cases) not be a demanding course. At the very least you should open up a dialogue with your child in year 4 about the Eleven-plus; explain to them what the test is and make sure they understand the concept of going on to Grammar school. Parents know better than anyone how to incentivise their children, but the more focused and motivated they are this stage in their education, the better. Use out Initial 11+ Assessment to understand your child’s current ability. Preparation can start at this early stage, but don’t overdo it while there is still a year to go until the exam. We start our face-to-face courses in January, as we believe starting preparation at this time stops fatigue come exam time. Your child wants to sit the exam at their peak; not when they have fallen off the wagon after starting too soon! In the run up to July, double check the school admissions and applications processes and make sure everything is in order and you’ve applied for the exam. For your child, July is when revision really ought to begin in earnest. Regular revisions sessions are advised that cover all areas learned throughout the course of the year. This is an excellent time to sit some mock exams, both to get your child prepared for exam conditions but also to highlight any potential gaps in their learning. Exam time. This is when last minute preparation can really pay off. 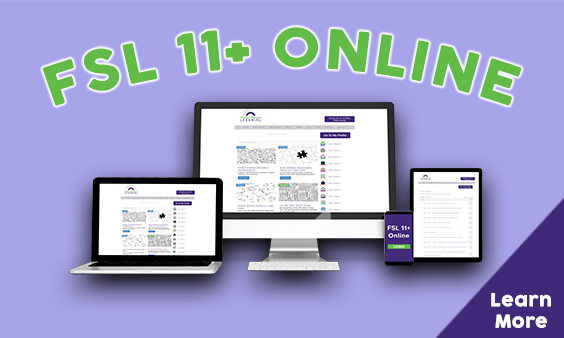 There are guidelines you can follow to help your child prepare for the Eleven-plus which can be found in our free resource packs here. When is too late to start? Every parent wants to do their absolute best for the children, so finding out that you child may be at a comparative disadvantage can be disheartening, but fear not. Bright children can and do pass the Eleven Plus with minimal preparation; so there may still be a lots you can do to motivate and prepare them even a few weeks before the exam. Use the timetable above to find out what stage your child ought to be at, and simply go from there. Download our Eleven Plus Timeline infographic and keep it in a visible place so you can quickly refer back to it.